8th December was very busy for SGDJs. I was pleased to see that all of the bookings were for returning clients. Joff was at City Hall, DJing for a charity event for Orthopaedic doctors, with Lizzie on the Selfie Wizard. The Assembly room holds up to 500 people, and so the Platinum package it had to be. Podiums and moving heads plus gobo lights on the booth were provided. A great night was had by all, and we are looking forward to seeing them again in 2020. 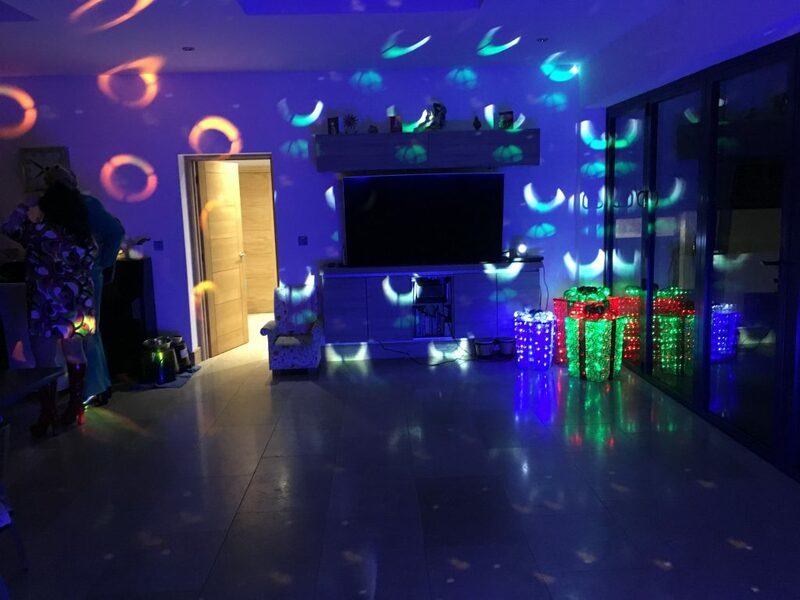 June was in Penarth serving a client who was hosting a work party. A musical theme of 70’s and 80’s Disco, complete with mirror ball and fancy dress was totally fun. James was at St Athan partying until the small hours. Alex was in Newport for a Christmas party and Paul was at another! So remember- we are a team. We have more than one DJ to go around. Try us for size … any size! A new innovation is on the scene- if you haven’t experienced it yet, maybe it is time! 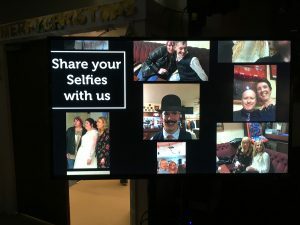 It’s not a photo booth, it’s not a magic mirror… it is a way of collating and sharing photos taken on electronic devices during your event. How better to get pictures taken from various aspects of the venue and party and capture all the fun, not just pictures of those brave enough to go to a booth? Everything goes on to a memory stick for you that you keep. Takes up very little space- that of either our TV screen or projector and screen if fitted in the venue. Our wedding this week was a party who had real fun with it. Discounts when booked with a DJ package, but also available as a separate hire. Have you got any questions? ... Please get in touch! Established in 1999, SG Discos/SGDJ is a collective of professional DJs working together to provide higher standards of professionalism in the mobile DJ industry. Its now Cardiff's biggest independent Mobile Disco Company. We are affiliated with Impact Effects. Affordable premium lasers and club effects. Please like SGDiscos for future updates. © 2008-2019 SG Discos Ltd.